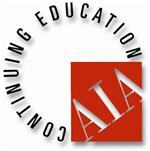 Do you need continuing education credits? Get a handful at our all day seminar Presented By Ron Blank & Associates. RSVP by Monday, February 21, 2011. Please fax registration form to 602-273-6814 or email form to charnissa@aia-arizona.org.